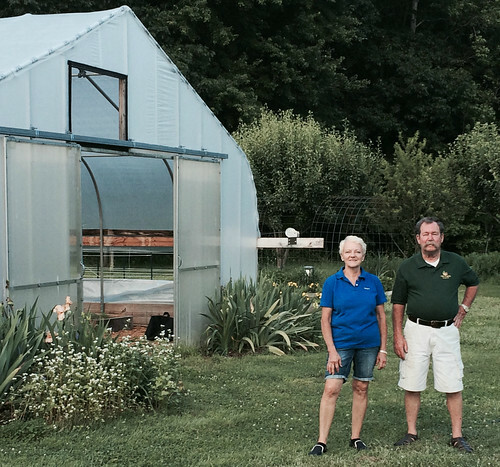 Since it’s National Pollinator Week, it seemed fitting to express my thanks to farmers Scott and Susan Hill - who run the Hill Farm outside Charlottesville, VA. Earlier, I had the chance to visit their 10-acre property former tobacco farm to see firsthand how hard they are working to grow a variety of produce for the local customers. But there are more little workers helping on the Hill Farm too. Pollinators! In the United States, about one third of all agricultural output depends on pollinators. Insects and other animal pollinators are vital to the production of healthy crops for food, fibers, edible oils, medicines, and other products. It’s clear that pollinators are important to the Hill Farm for their production of their artisan and specialty varieties of several vegetables, including lettuce, asparagus, tomatoes and even golden beets. And the first year, the addition of bees increased their tomato production by 25 percent. The commodities produced with the help of pollinators generate significant income for agricultural producers and those who benefit from a productive agricultural community. An estimated $15 billion worth of crops, including more than 90 fruits and vegetables are pollinated by honey bees alone. Pollinators are also essential components of the habitats and ecosystems that many wild animals rely on for food and shelter. You may have heard that in recent years pollinators have experienced in serious decline in their population. Helping pollinators is critical to healthy food systems and native ecosystems since virtually all of the world’s seed plants need to be pollinated. Here at USDA, we are working to promote pollinator health as part of White House Pollinator Health Task Force’s National Strategy to Promote the Health of Honey Bees and Other Pollinators. One particular project involves USDA’s Agricultural Research Service (ARS) Bee Research Laboratory, which is focused on improving honey bee survival. ARS conducts research on bees and provides science-based beekeeping and management strategies to help bee keepers across the country build and maintain healthy honey bee populations. ARS is also organizing a national bee gene bank that will help preserve the genetic diversity of honey bees, especially for traits such as resistance to pests or diseases and pollination efficiency. The National Agricultural Statistics Service recently issued the first Honey Bee Colonies Report that provides information about honey bee losses. The report is an important tool to better understand honey bee population dynamics. The National Institute of Food and Agriculture set a priority for pollinator health for their grant program that provides funding that address key problems in sustaining all components of food and agriculture. 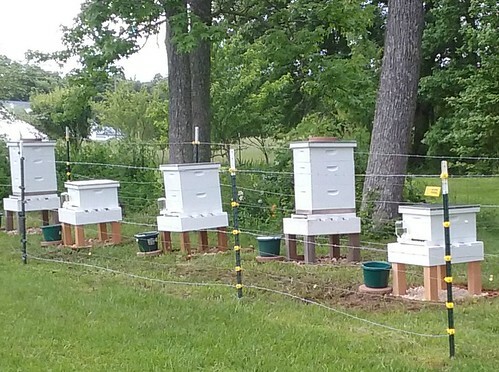 ARS along with the Farm Service Agency and the National Resource Conservation Service are working with U.S. Geological Survey to monitor honeybee colonies in four states to evaluate the effectiveness conservation programs to enhance pollinator forage habitat and hive health. USDA will be celebrating National Pollinator Week in the People’s Garden and USDA’s Farmers Market, managed USDA’s Agricultural Marketing Service. Join us on Friday, June 24, from 9 a.m. to 2 p.m., to learn about bees, birds, bats and other pollinating animals at the sixth annual Pollinator Festival outside USDA Headquarters along 12th Street in Washington, DC. More than 14 USDA agencies, other federal departments and partners will celebrate the significance of pollinators. Also went to HS with Scott in Baltimore, and also live near Charlottesville. Proud to see what he and Susan are doing, and having fun is the bonus !! I have seen this amazing operation in person. Scott and Susan proudly maintain the highest standards at all production levels.